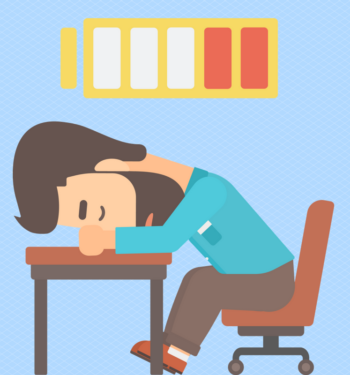 Are you feeling like you’re on your way to burning out? Have you lost your flow? Today, Gideon Shalwick is here to talk about his journey from entrepreneurial hell to getting his mojo back, and he wants to share how you can do it, too. Although he’s found fulfillment with his newest project, entrevana.com, it’s been a long road with lots of bumps along the way. By following Gideon’s advice, you can take yourself to entrepreneurial heaven, but you’ve got to do it for the right reasons! Gideon left his job ten years ago, and at the start he says that he was a “wannabe entrepreneur.” Early on, he and his wife were living on the bread line for about two years. In fact, he almost gave up on being an entrepreneur because things were so tough. Luckily, he had a very supportive wife who was paying the bills while he pursued his dream. The story started in New Zealand, where he was fed up with working for someone else. He felt a lack of freedom and a lack of fulfillment. So he started applying for jobs in Australia. For three months, he got turned down again and again and again. Not even an interview! At that point, his wife started applying for jobs, and within a week she had three job offers. Gideon now says that this was a sign that he wasn’t meant to get a normal job at that point in time. After emigrating to Australia, it took Gideon two and a half years to “unlearn” the employee mindset and learn how to be an entrepreneur. What does that mean? Gideon says that the employee mindset is more passive than the entrepreneurial mindset. When you’re an employee, you don’t have to worry about the bigger infrastructure of the company. You just play your part in a larger organization. Gideon also says that he had a bit of an “attitude” as an employee, because he thought he wasn’t being paid what he was worth. This ended up “slapping him in the face,” as he puts it, because in his first year as an entrepreneur, he earned minus $1000! He says that it took him some time to learn what it takes for people, potential customers, to actually want to spend money with you. Gideon uses the metaphor of a Big Mac to talk about how the education system trains employees rather than entrepreneurs. He sees standard education as a manufacturing line, where everyone comes out like a McDonald’s Big Mac. It “ticks all the boxes” for a hamburger, and there’s nothing wrong with it, but it isn’t true to the individual. It doesn’t express you, it expresses what the system wants you to express. By thinking like an entrepreneur, Gideon says, you give yourself more freedom. Yes, folks, there was a Become a Blogger before me! 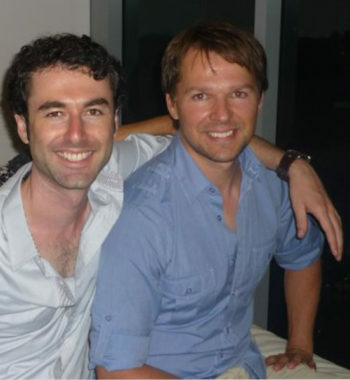 It was started by Gideon and Yaro Starak. And this was the first time I heard the origin story in this way, so that was pretty exciting! Back in 2007, Gideon had tried and failed in a bunch of projects, and he decided to start doing video interviews with people who were big in the industry. This was when YouTube was about a year old, and lots of video sharing sites were popping up. But nobody knew what to do with them yet! So with zero experience, Gideon would go to events and target people he wanted to interview. But the files were too big, and his computer was too small, so it never really got off the ground. One of the people he ended up interviewing was Yaro Starak. After the interview, Yaro said that he was really impressed with the set up that Gideon had, and they stayed in touch. Not long after that, Yaro got in touch and asked Gideon if he’d be interested in making a series of videos for a new project. Yaro had realized that his Blog Mastermind course wasn’t catering for people just starting out in blogging, and he saw a gap in the market. 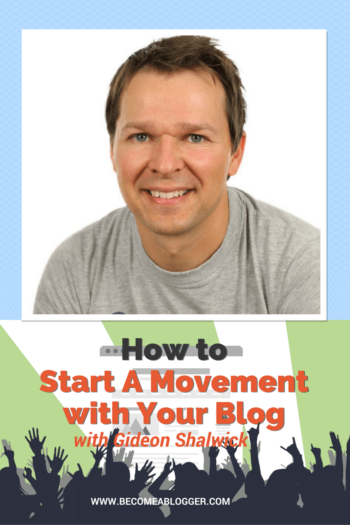 He paid Gideon to make 10 videos that showed people step-by-step how to set up their blogs. 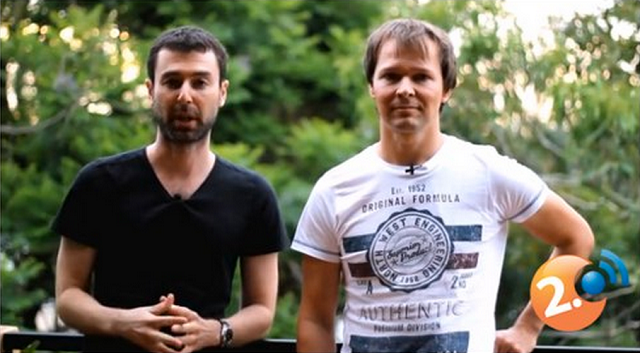 They published the videos on blip.tv (remember that?!). They were initially available for free. It sounds like click-bait, but it’s true. Gideon said that those videos went “ballistic” for that point in time, with hundreds of thousands of downloads. As the project continued to be successful over the next three to six months, Gideon and Yaro decided to launch it as a separate business, with a 50/50 partnership. The partnership worked really well because Gideon was good at the practical side, creating content, making videos, and planning the course, while Yaro was really good at the marketing and promotion. Plus, Yaro’s existing email database and industry connections came in really handy. Before Become a Blogger officially launched, Gideon spent six months working on the course without being paid. Even though there was no money coming in, he could see the light at the end of the tunnel. But that doesn’t mean it was easy. He remembers having moments of thinking “what am I doing? !” This was his last push. If it hadn’t worked out, he was preparing to go back to work. The support of his wife and his partnership with Yaro became so important. Gideon says that a support group is essential for all entrepreneurs. You’re in the minority as an entrepreneur, and you need to find like-minded people who understand your journey. He also benefited from a lot of personal development. In the two years before Become a Blogger, he had done a lot of reading, thinking, and meditating to re-program himself. He felt that he needed an attitude shift, and that hard work paid off later on. 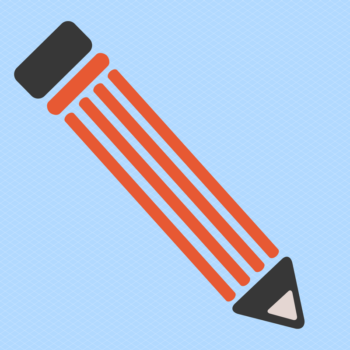 Finally, it was time to launch Become a Blogger. 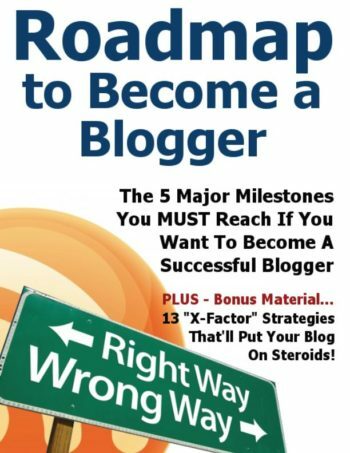 They started off with a free report, the Roadmap to Become a Blogger. 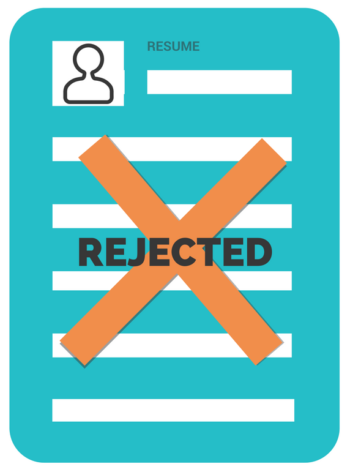 Within the first two weeks, they had 10,000 people signed up to the email list. They launched with a $27/month membership for the first six months, at which point it increased to $47/month. In the first few months, Gideon remembers $23,000/month coming into the business. It was incredible. He’d gone from two and half years of hustling and getting nothing in return to starting a real business, something with a future. After the launch, the next six months were still tough. He’d only created enough content for the first two months, so he had to create lots of new content. Gideon was also managing the customer support side, answering emails and taking phone calls from all over the world to help people get their blogs up and running. The difference was that now he was getting paid. He was finally seeing a return on his investment of time after two and a a half years. Gideon says that if he had it all to do over, if he could go back with the skills and experience that he has now, he could probably have gone through the whole process in about three months. But it’s easy to let ego and stubbornness slow you down and get in the way of your learning. Even now, he says, that stuff can creep up on him. After a while, Become a Blogger got to a point where it wasn’t really a 50/50 partnership anymore because Yaro was spending more time on other projects. Together, they decided to part ways and let Become a Blogger peter out a little. They both moved on to other things, and Become a Blogger continued in a really passive way. Eventually, Yaro and Gideon had a chat about how to revive Become a Blogger, but neither of them wanted to pick it up again themselves. So, they thought about who could take it on. Gideon says that they started thinking about Become a Blogger’s students, and my name came to mind. So, the three of us had an initial discussion. I remember it really well because it felt so surreal. I was doing backflips on the inside, but trying to play it cool externally! Yaro and Gideon offered me a 50% share of Become a Blogger. I would create the content, and they would handle the promotion. So it started as a partnership. Eventually this became a 75/25 arrangement. Later on, when I was looking to leave my job, I knew that I had to go all-in on something. I decided to see whether I could buy out Yaro and Gideon. We had a Skype call, and we talked about it. Ultimately, Gideon says that he and Yaro really wanted to see the Become a Blogger brand continue, and they knew that there was a need in the market. They just didn’t have the energy to continue with it. They felt that I had put so much into the brand already that it should be mine. Since this is the first time we’re publicly talking about this, let me take this opportunity to say a very public THANK YOU to Gideon and Yaro! Gideon says that what he was really looking for when he left his job 10 years ago was a sense of fulfillment. He’s gone through lots of projects looking for something that will give him that sense of happiness and wholeness. He got close with Rapid Video Blogging. With this project, he was building a business around his natural talents. But things changed when his first child was born a few years ago. He felt that he needed to change his tactic in order to protect his family. Rapid Video Blogging relied on his personal brand for its success. He started to worry about what might happen if he was no longer able to make videos in the same way. So he looked to make a change from a personal brand to a business brand, something that could run independently. First there was Splasheo, which Gideon describes as a “great little business.” However, it still felt out “out of flow” for Gideon. He managed to make it “mostly automated,” but it never reached its full potential. Having said that, it was the most successful thing he’d done to that point, and he’s still amazed at how much traffic it gets given that it’s completely passive now. His next business, Veeroll, was very successful, but once again he found himself feeling out of flow, moving too far away from his natural gifts and talents. In going down that path, he reached a point of burnout. About a year ago, he was selling Veeroll like crazy, and feeling more and more drained. He was what he calls “below the threshold,” at the point at which he could no longer find his flow. Every little thing was setting him off. He made some changes and tried to make his work more creative, but ultimately he was still on the same path, and he had to undergo a more radical transformation. Gideon describes this as his “resurrection.” He believes that there can be no real change unless there is a kind of death and resurrection. So he had to die to his old way of doing things in order to be reborn. I think we all understand what it’s like to feel trapped in a business that’s not in alignment with who you are. But how do you start to make that change? Gideon says it all comes back to how you feel and how you want to feel. What is it that we’re really after in life? Why do we pursue money, possessions, success, fame, and power? It’s not for those things in and of themselves. It’s because we want to feel fulfilled. We think that these things will make us feel good and make us feel whole, but that’s a fallacy. If these external things become your prime focus and your end goal, Gideon says, you’ll get out of your flow pretty quickly and you’ll start burning out. And once you’re burning out, you’ll be drained physically, emotionally, and mentally. Gideon feels that he was on the road to a literal, physical death by straying from his flow. His hair was going grey and falling out, his skin was ageing—he could see himself ageing faster and faster. He had to be reborn. He locked in on this idea of energy. When you’re energized, you feel good. So you’ve got to find those things that make you feel energized as you do them. That’s what it means to be fulfilled, for Gideon. It means you’re full of energy. But how do you do that and still be an entrepreneur? For Gideon, it starts with finding your PRIMAL ACTIONS. What are the actions, the things you can do, that you are called to? What are the things that you feel you were born to do? For Gideon right now, it’s writing. For me, it’s teaching. These will be things that are aligned with your natural, unique gifts. On the flip side, you’ve got to avoid doing the things that you’re not gifted for. Step away, listen to your inner voice, your intuition, or God —whatever you call it— and you’ll find that certain actions make you feel more at peace when you’re doing them. Those things are your primal actions. They energize you as you’re doing them. They make you feel good. Okay, got it. 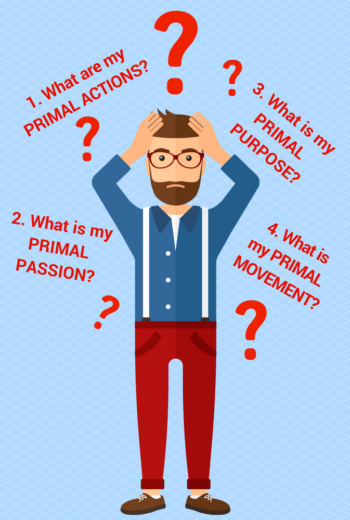 So once I’ve uncovered my primal action, what do I do next? Gideon says that lots of gurus will tell you to just follow your passion and everything will be fine. But what they forget to mention is that “passion” has lots of different meanings. At one time, “passion” indicated suffering, as in the Passion of Christ. In more modern terms, “passion” might mean sexual desire. And, even if we just think of your passion as your dream in life, how are you supposed to know what your dreams are? Gideon’s hack is to find the primal actions first, and then find out what things in the world you’re passionate about and decide on a certain area of passion. Then, you apply your primal action in that area. The area of passion you choose is your PRIMAL PASSION. This isn’t something you’re born with. It’s something that you get to choose. Your primal actions are tapping into your God-given gifts and talents, but your primal passion is something you choose. You might be interested in a lot of different areas, but you choose one that you want to focus on. How do you know which area to choose? Ask yourself, what’s the thing that you can’t stop talking about? There’s your answer! For me, that’s blogging. For Gideon, it’s personal development and entrepreneurship. Once you’ve identified your primal passion, it’s time to start thinking about your PRIMAL PURPOSE. This creates a “why” for you. It helps you to make your work about something bigger than yourself. And, again, this is something you get to choose. Gideon believes that you find your purpose in life, so it’s not something that most of us are born with. What fuels your actions and your passion? Why do you do what you do? How can you use your skills and experience and passion to make the world a better place? Once you have identified your primal actions, your primal passion, and your primal purpose, you’ll find that you access your PRIMAL MOVEMENT pretty naturally. If those first three things are well-aligned, the movement will happen almost automatically. But you can’t start with the movement. Otherwise, you’ll be listening to the outside world too much, and that’s a good recipe for being extremely unhappy. Start from the primal action, and as you move through the primal passion and primal purpose, it’ll become clear what your primal movement is. It’s about the change you’re making in the world. It’s hard work, and you’ve got to keep at it day after day after day, but it’s all right because you’ll love what you’re doing. And eventually, the movement will run on its own. The great thing about a movement is that it’s so much bigger than the leader. Maybe it’s about the individual at first, but it should grow and become more about the community and about making the world a better place. Now, I don’t usually give homework on this podcast, but today’s a special day. So if you’re listening to this episode, whether it’s in 2016 or 2050, share your primal action, your primal passion, your primal purpose, and how it contributes to a movement. You can do so in the comments below. You’ll have to do some brainstorming, so feel free to brainstorm in the comments and we can have a conversation that way. But I want to know your primal action, primal passion, primal purpose, and your sense of the movement you’re heading towards. And if you’re interested in learning more about Gideon’s work, head over to entrevana.com, which is his latest project. It’s all about helping burned-out entrepreneurs find their mojo again. If you feel like you’re in blogger hell, he can help you get back to nirvana! Rapid Video Blogging – teaches people how to make money with videos. You’re amazing, Leslie! You’re a sanguine person. 100%!!! I think my big problem is I don’t even know what my primal passion is. I keep working, but I don’t even know what I’m working for. Hello nice story about Gideon’s work. But first $23,000/month seems untruthfully.